A couple of weeks ago, I wrote a blog that looked at a few courtyard shade structures to enhance your home. If you read that post and have since decided to install shade sails, then you should definitely read this article. Today, I’ll outline what mistakes you need to avoid when buying shade sails, and also how to avoid them. Continue reading this article and hopefully by the end of it, you will know what to do when buying shade sails. I’ve met many customers who have made the costly mistake of installing DIY shade sails over their patio. Don’t get me wrong, I love DIY shade sails and we offer them here at Global Shade, however this can go terribly wrong if you purchase an inferred product and you are not equipped to install them correctly. Many homeowners simply head to the nearest hardware store to purchase their shade sails. However, due to inexperience, when installing them, they don’t put apply the right amount of tension. This over time causes the shade sail to sag. Don’t make this mistake with installing DIY shade sails. Contact a reputable shade provider, such as Global Shade, and we will take care of installing the patio shade sail for you. Most homeowners fail to remember the old saying “you only get what you pay for” and the same certainly applies when it comes to patio shade sails. If you choose to buy the cheapest shade sail from a hardware store, then you will inevitably run into problems. Cheap shade sails will fade, rip and tear over time. Moreover, they may not even offer adequate UV protection. Never buy the cheapest option you can find. You must always choose quality patio shade sails such as those offered here at Global Shade. By buying your patio shade sails from us, you can rest assure knowing that you received a quality solution at a great price. Too many people make the mistake of not checking the quality of their intended patio shade sail before they make a purchase. To avoid this mistake, make sure you check the fabric used in the manufacturing. High-quality fabrics made from HDPE are much better than ordinary fabrics. They are permeable and allow air to pass through, while blocking out the sun. HDPE fabrics are also less prone to ripping and tearing. It is also a good idea to only purchase your shade sails from well-known supplier such as Global Shade. When you choose to buy from us, you are buying the highest quality product that money can buy. 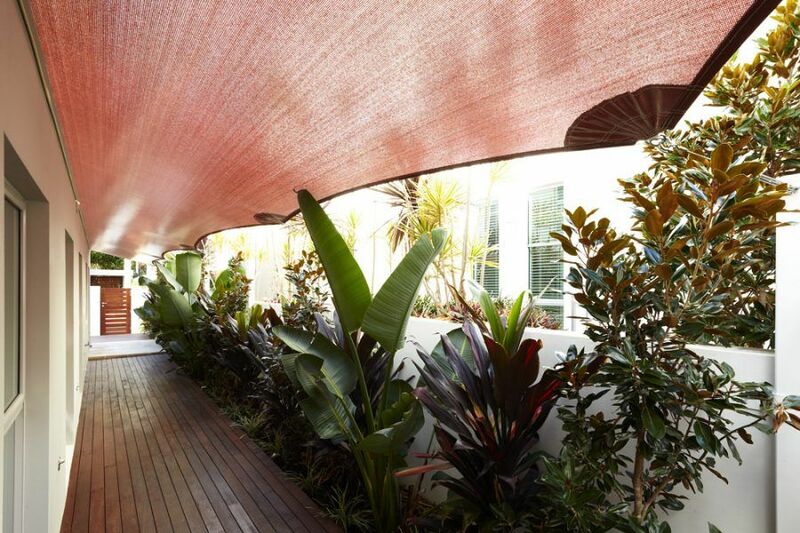 Local city councils in Australia have different regulations in regards to installing patio shade sails. While most councils do not require a building permit for shade sail installation, there are conditions. If your shade sail exceeds 20 square meters (10 square meters in some areas), you will need a building permit. Some other councils require building permits for all shade sails, with restriction that it covers only 10% of property area. Regulations differ from one area to another and you must check with your local council if building permits are required. Failing to do so may lead to councils imposing a fine on you. If you’re in the market looking for patio shade sails, it’s important to avoid the common mistakes that homeowners make. Never try to install DIY shade sails unless you have the experience and knowhow to do it correctly. Do not buy the cheapest solution, as the fabric is likely to be poor quality and will wear and tear with time. Not looking at the quality of the fabric is another mistake to be avoided. Also, do not fail to investigate whether a building permit is required for installing shade sails in your city. By avoiding these basic mistakes, you are sure to find a shade sail that meets your requirements. For the best quality shade sails in Australia, you will not find a better supplier than Global Shade. To request a free quote, simply get in tocuh. We’ll be happy to be of your assistance.